WASHINGTON D.C……..NOW! Leading Democrats tried using the Jedi mind trick to convince millions of voters and media that they never claimed that President Donald Trump was being manipulated by the Russian government nor was he, as many claimed, A “Manchurian Candidate” for President Putin. After President Trump’s warning and air strike against Russian backed Syrian forces the Democrat party, who until recently wanted Trump investigated and impeached for receiving Russian help in winning the 2016 US presidential election, had nothing but praise for the President and said “We never wanted President Trump impeached” whilst wiggling their fingers. “We never wanted President Trump impeached” replied CNN’s political news staff in monotone voices. “We never claimed Trump was working for the Russians” said the DNC spokesperson. “We never claimed Trump was working for the Russians” replied Buzzfeed editor-in-chief, Ben Smith. 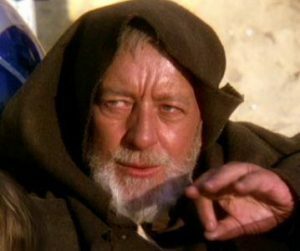 The Jedi mind trick, which gives people the power over weak minds, was being used because President Trump’s policy on Syria and Russia is now more in line with Democrat policy and that it was felt that some rewriting of the historical record was now needed. Apologising or taking back remarks was considered by senior Democrats was considered for 1.5 seconds but was rejected in favour of altering the record, discarding inconvenient quotes and events and airbrushing the awkward bits as it is a long standing tradition on the Left.